Quality Business magazine is NZOQ's flagship publication. QB seeks to be Australasia's leading source of information about what is happening in Quality Management and Business Excellence. Quality Business is distributed regularly to subscribers, including all members of the New Zealand Organisation for Quality. 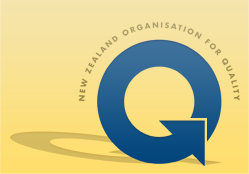 Members of NZOQ regularly tell us that QB is one of the most valued benefits of their membership. Quality Business aims to become a premier professional magazine in its field. We invite contributors to submit relevant articles for future publication. Topics should have a broad Quality theme and can be theoretical or applied, practical or academic, case studies, opinion pieces or outlining a topical or relevant quality activity. As we aim to lift the size and scope of Quality Business going forward, contributions from a wide range of people are welcomed. All copy for inclusion in Quality Business should be sent to NZOQ National Office. Please note: Quality Business will not publish articles that serve primarily to promote or advertise a product or service. We will also not consider articles that are being submitted simultaneously to another publication.